A dog which fell off the back of a ute today and, unknown to the driver, was runover by the caravan being towed by the vehicle is recovering. Bonnie, a nine-month old Beagle, suffered a broken pelvis and is now being treated at the Buninyong Veterinary Clinic. A spokesperson told Caravanning News that the dog was microchipped and its owner had been contacted. A local who went to the badly injured dog's aid outside a servo at Creswick is also recovering after reportedly being bitten. He posted on Facebook: "I do have a rather chewed up hand. I know that you have to be very careful with injured animals but I just reacted. My hand will heal. I just hope the poor dog does as well. The poor thing was in immense pain." Woman being treated by ambulance officers at scene of car and caravan accident on NSW's Hume Hwy north of Green Hills Road. Two children also being assessed. Coromal caravan completely wrecked. The caravan park and campground at Borumba Deer Park on the banks of Yabby Creek at Imbil in Queensland is up for sale at $2.1 million. "As the name suggests, there are around 25 deer at the park in which you can feed, plus two pet pigs, three pet goats and two very friendly pet deer," says ResortBrokers selling agent Lindsay Cooper. The 26ha creek-front site is said to have a "consistent year-on-year turnover" with a net income of over $251,000. Jurgens Caravans Australia has announced that legal proceedings instituted by AL-KO have been withdrawn. AL-KO International had moved to have the troubled caravan builder wound up. "We acknowledge that the last 12 months have been particularly difficult," director Paul Kyriacou said in a statement. "This was precipitated by a strike at a key supplier and we are still feeling the knock-on effect. However, with each passing month we are strengthening our supply chain." He admitted Jurgens' customer service and warranty process had "not lived up the expectations", adding that it had now changed its business model with the launch of an in-house customer service, sales and warranty team. 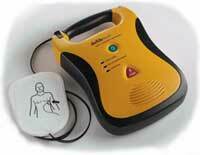 THE Federal Government will spend $1 million to support the installation of defibrillators at camping sites throughout Australia in a partnership with the industry's peak body, the Caravan Industry Association of Australia. Association chief executive Stuart Lamont welcomed the funding as an exciting and yet common sense initiative that will put the best technology into holiday locations across the nation. "Caravan parks are popular holiday destinations – particularly with senior Australians who are at an increased risk of heart attack," he said. "We also know that in rural and regional areas it can take longer for an ambulance to arrive, given the distances they sometimes have to travel." EMERGENCY services at scene of 4WD and Coromal caravan rollover on the Monash Freeway in Victoria. Right-hand southbound lane closed on Pakenham Bypass near Soldiers Road. Speed limit past accident site reduced to 40kph. Not known at this stage whether anyone injured. Motorists urged to avoid the area. New Age Caravans dealers at Newcastle and Sydney are offering "VIP appointments" and free entry to next month's NSW Caravan Camping Holiday Supershow at the Rosehill Gardens Racecourse, Sydney. Caravan parks in and around Katherine in the Northern Territory report an early onslaught of southern grey nomads. Caravan Industry Association of Australia issues reminder that nominations for the new Gerry Ryan OAM Award for Innovation close on April 21. Thieves stole Darwin great grandmother Junella Scott's caravan containing all her personal and sentimental possessions after she left it in a street at Karama. Mount Isa Police have reminded caravan owners and travellers to remain vigilant with security measures. Queensland Government to pour $3m into Australia Zoo's plan to set up an $8m 108-site overnight caravan and camping area adjoining the iconic tourist attraction at Beerwah on the Sunshine Coast. Yorke Mid-North police in SA are asking holidaymakers to be vigilant and lock their caravans over the Easter and school holiday break. "Opportunistic thieves have been known to target popular holiday destinations, so please ensure your property is secured at all times while in caravan parks," a spokesperson said. "Lock away your esky, fishing rods, bicycles and other items. You wouldn't leave your valuables outside your home, so please don't leave them outside your caravans, holiday shacks or tents." Police will be conducting extra patrols around the popular holiday spots this Easter break and during school holidays. People who see anything suspicious activity in or around caravan parks or holidays homes are urged to contact the police assistance line on 131 444. Buloke Shire Council in Victoria is looking for a management company to take over the reins of its Wycheproof Caravan Park. It wants expressions of interest from suitable organisations who will give the park a new lease of life. "Given the high-profile Calder Highway frontage, council is interested in proposals that will build upon the current tourism and economic development offerings in Wycheproof," it said. 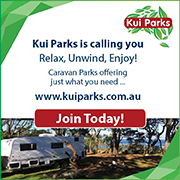 "Council is seeking an interested party to manage the park, with various management proposals willing to be considered to ensure the best long-term outcome for the caravan park and the Wycheproof community." The park is currently managed directly by the council. Closing date for submissions is April 26. 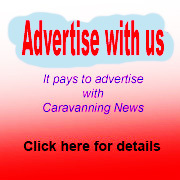 Police hunting thieves who made off with televisions after raiding a caravan on the Kingaroy-Cooyar Rd at Nanango in Queensland's South Burnett region. 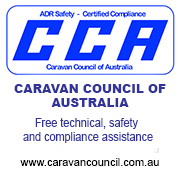 THE Australian Competition and Consumer Commission has issued a recall notice on some Tiffin recreational vehicles after fears their Cummins engines could experience a fall in air compressor output and affect air braking. "If air braking is impacted, the condition progresses and audible and visible warnings are ignored, the parking brake would eventually be applied automatically, increasing the risk of an accident," the recall says. The suspect ISV5.0 engines equipped with Option CP80007 were sold nationally by Tiffin Motorhomes Australia and were manufactured by Cummins between May 29, 2015, and September 17, 2018. Cummins has sent notification letters to owners informing them of the safety issue. It will replace the existing high mount air compressor configuration of affected engines with a new low mount air compressor configuration. For further information, contact Cummins on 1300 286 646. Suspect engine serial numbers include 81014336, 81014178, 81019111, 81019193, 81010227, 81029082, 81029271, 81028962, 81031314, 81031799, 81028518, 81029567 and 81028966. Two caravanners received minor injuries when their 4WD and caravan flipped on the Dirranbandi Road south of St George in south west Queensland this afternoon. No other vehicles thought to be involved. SA's Streaky Bay District Council has has been refused funding from the Building Better Regions Fund towards its Foreshore Tourist Park development. Richmond Valley Council's caravan park in Coraki, NSW, will undergo a $550,000 upgrade following a Federal Government grant. Mayor Robert Mustow has welcomed the funding which will go towards improving the Coraki Riverside Caravan Park, a member of the Kui Parks chain. Meanwhile, the council (02 6660 0300) is preparing to provide eight new RV parking spaces in the Casino CBD and has asked for travellers' comments. The bays are located on the east side of Hickey Street in front of McAuliffe Park and opposite the Casino TAFE and Woolworths car park. It has to decide whether to provide 45-degree nose-in parking or 45-degree rear-to-kerb parking and wants to receive RVers' preferences before April 14. Hazard reduction burn escaped its confines and destroyed a caravan on private land at Tasmania's Dolphin Sands. No one injured. Two caravanners had a lucky escape when their rig rolled on NSW's Pacific Highway near Brunswick Heads in the State's north. South Melbourne's notorious low bridge in Montague St has claimed another RV, with a motorhome losing its roof. No one injured. Di and Nigel Gray have retired after managing Clarence Town's caravan park in NSW for 18 years. The local council decided to close Williams River Holiday Park because of "safety and compliance" issues. Delaware North has secured a 30-year lease to operate the popular award-winning 204-site Lane Cove River Tourist Park 10km north of Sydney. NSW National Parks and Wildlife Service has run the caravan park, which will be renamed Lane Cove Holiday Park, since 1998. Queensland man, 31, will appear in court on May 20 accused of taking inappropriate images of a woman at a caravan park in Moree, NSW. More than two-thirds of the 50-plus residents attending a recent community meeting at Buxton in Queensland's Bundaberg region voted in favour of an RV overnight facility being provided for travellers. Motorcyclist airlifted to hospital after colliding with caravan at Great Lakes in NSW on the weekend. Members of the Australian Caravan Club poured almost $75,000 into SA's Murray Bridge economy during their recent Chairman's Muster in the city. Club chairman Craig Humphrey said this equated to around $850 per recreational vehicle. Apollo Tourism and Leisure has appointed Karl Trouchet ‒ who has more than 20 years of experience in the RV market and was co-founder of the original company in Brisbane ‒ into the newly created position of executive director of strategy and special projects.